WILLOW (0008) succeed breakout bolinger band squeeze & forming higher high. How high will this round go? 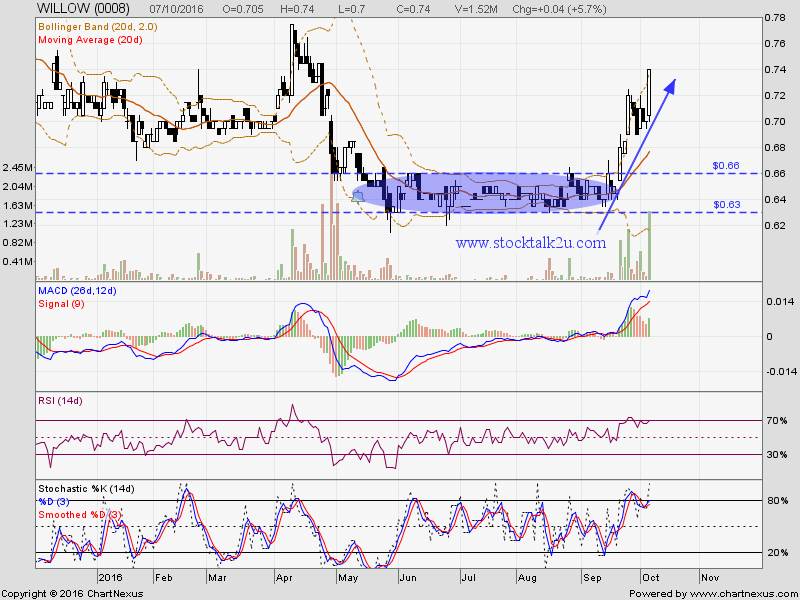 Immediate support @ RM0.72 level. 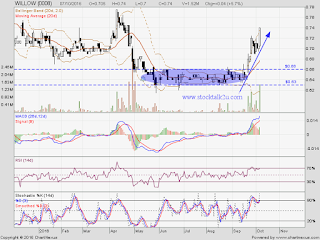 Subsequent support @ RM0.69 level.